The Anne Arundel County Mental Health Agency (AACHMHA) is committed to intervening as early as possible to identify and treat developing mental health problems in children and teenagers who meet the criteria. Many of our adult services also are available to children including the 24-hour hotline (410) 768-5522, case management, outpatient therapy, residential programs, aftercare, supported housing, urgent care centers, the mobile crisis team, transportation help and financial assistance. In partnership with the county schools, AACMHA is working to develop a program that will help middle school kids with mental health issues make a smooth transition to high school. AACMHA is working closely with other county groups to develop summer recreational programs geared toward the specific needs of children with mental health problems. These groups are designed to help the parents of children with mental health problems provide their kids with needed support and help. Early intervention can play a key role preventing or reducing mental health problems in children. AACMHA has helped to start the Georgetown Project, an early intervention and assessment program for children age five and younger. The transition from childhood to adulthood can be very traumatic for children with mental health problems. Targeted case management, and other services are available for children between the ages of 16 and 21 to help them through this difficult stage. There is also a Transition Age Youth (TAY) program for people 16 to 25. This program provides special services designed on an individualized basis to assist young adults with mental health issues. Helping Children Cope with Crises and Violence discusses the recent crisis, how to recognize stress in children, and how to cope. Mental Health First Aid is a publlic education program that introduces participants to risk factors and warning signs of mental illness, builds understanding of their impact, and overviews common supports. The 8-hour course uses role-playing and simulations to demonstrate how to offer initial help in mental health crisis and connect persons to the appropriate professonal, peer, social and self-help care. There are four areas of training: Adult and Children & Adolescents. Participants recieve a three-year certification in Mental Health First Aid. For more information please contact the Training Coordinator at the number below or check this website for future training dates. This web kit for healthcare providers contains early intervention, treatment and support tools that address methal health and substance use issues affecting children, adolescents and their families. The Pediatrician's Toolkit is sponsored by the Anne Arundel County Department of Health. In partnership with the Anne Arundel County Partnership for Children, Youth and Families, AACMHA will enhance its crisis response and stabilization system for children and youth with serious emotional disturbances and their families. The RESPOND program has also worked with the Mind Resilience project. 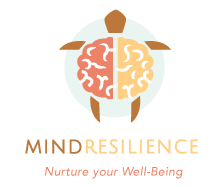 Mind Resilience is the website that BHA funded, and was produced by MedSchool Maryland Productions. Click here to visit the website. It incorporates much of the work BHA, the CSAs and community partners have done in promoting resilience and well being in Maryland for the last 10 years. The hope is to not only have that work on one site, but to expand the reach and importantce of it to children, families, communities, people in recovery, and workforce across the lifespan.